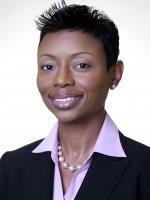 Wendy is a Certified Government Financial Manager (CGFM) and Project Management Professional (PMP). Wendy holds a B.S. in Finance - Norfolk State University, MBA in Management and M.S in Finance – University of Maryland and an Executive Leadership Certificate from Cornell University. Wendy is a member of the American Institute of Certified Public Accountants and National Association for Female Executives (NAFE). Wendy represented Grant Thornton at the 71st annual Tony Awards in June 2017. Association of Government Accountants Journal of Government Financial Management, Winter 2017. Values Today to Thrive Tomorrow.